I’m looking at you… you person, who has up until now procrastinated and not submitted comments on blood glucose meter and test strip accuracy to the U.S. Food and Drug Administration. You have one week left. For one more week, two draft guidance documents are open for comment from the community at large. One is for equipment used in a clinical setting, like doctor’s offices and hospitals. The other has to do with the meters and strips we all use as consumers (read: patients). Due to enthusiasm from the Diabetes Community, the FDA has added an extra month to their deadline for people to leave comments on these important documents. But that extra month ends next Wednesday. Have you spread the word about this important draft guidance? Is the answer c) None of the above? Don’t worry. The important information on the draft guidance, and how to leave comments, and even some sample text you can use when commenting, is all available on the Strip Safely site. Let’s say you’ve left comments already. Well… Have you read the information about third party strips documented so well at Strip Safely and over at Diabetes Mine? Did you know you could add additional comments expressing your concern over third-party accountability? Guess how long you’ve got to do that? That’s right… one more week. Don’t miss out on lending your voice to this important issue. It is needed and wanted and appreciated. So please, take this not-so-gentle reminder to heart, and help ensure better accuracy of the glucose meters and test strips that are used multiple times every day. Time is running out. Procrastination is not an option any longer. Many thanks to Christel Marchand Aprigliano and Bennet Dunlap for leading the charge up the Hill of Guidance. A window of opportunity is closing. I really didn’t expect to write about this again, but… This still needs to be talked about. And for various reasons, this may be my last chance to write about it before our window of opportunity closes. The U.S. Food and Drug Administration is in the process of drafting guidance for manufacturers of blood glucose meters. The guidance will be for future production of both over-the-counter meters (the ones we, as individuals, use), and the ones used in a clinical, point-of-care (i.e., hospital) setting. As of right now, the FDA has opened up these draft guidance documents for public comment. In other words, they want our input, and they’re even welcoming it. Go now to this one page, follow the instructions, take two or three minutes, and add your voice to something that will be extremely meaningful to me for years to come. As I publish this post, only 167 comments have been posted on the OTC guidance. As I publish this post, only 101 comments have been posted on the point-of-care guidance. Every man, woman, and child in America with an internet connection should be commenting on this guidance. Are you living with diabetes? 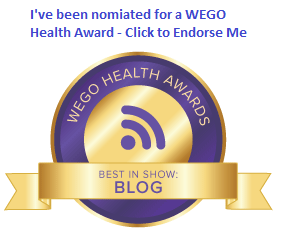 Is someone you care about living with diabetes? Do you work with someone living with diabetes? Do you drive on a roadway with someone living with diabetes? Do you interact ever with someone living with diabetes? Are you starting to understand why this is important and critical and time-sensitive? Maybe you don’t care about making meters more accurate. Or maybe you do. If you’re living with diabetes, improving meter accuracy is important to you, and you know it, and you can do something about it. If someone you care about is living with diabetes (and someone you care about is), improving meter accuracy is important to you, and you know it, and you can do something about it. If you aren’t affected by diabetes at all, improving meter accuracy is important to you, and you know it, and you can do something about it. Go now to this one page, follow the instructions, take two or three minutes, and add your voice to something that will be extremely meaningful to everyone for years to come. Future lives hang in the balance of blood glucose meter accuracy, and you can help win the day. Thanks again to Christel Marchand Aprigliano and Bennet Dunlap for opening my eyes on this issue and leading the charge up the Hill of Guidance. I now return you to your regularly scheduled day. Make your voice heard. Today. Now. Maybe you’re one of those people who says, “That FDA—they never listen!”. Or maybe you say, “If the FDA wouldn’t wait so long, we could see products come to market sooner!”. Well, glucose meters and test strips are not made in a day. Okay, maybe they are, but bear with me here. So if you’re one of those people who says, “That FDA—they never listen!”, here’s your chance. The FDA has two open dockets right now through Monday, April 7th. You have an opportunity to raise your voice with the rest of the Diabetes Community, engaging in public discourse and helping the FDA get it right. The best part is, it’s so easy to lend your voice to this important issue. As usual, Strip Safely has everything you need to know. And not in a creepy, big-brother, overbearing government kind of way. Head on over there now and you’ll find super easy instructions that will help you lend your voice to this increasingly critical guidance. If you’re worried about not having enough time to comment, don’t. 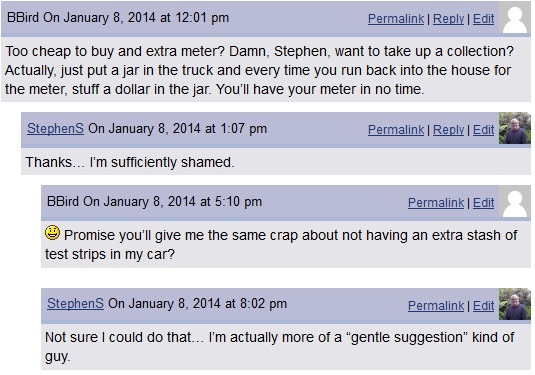 Strip Safely has links to the dockets for personal use meters and in-clinic meters. And they even have language you can use to join the chorus of D-people who are weighing in on this topic. After rewriting part of the prepared comments and submitting them to the FDA, I looked at my watch to find that a mere fifteen minutes had gone by from start to finish. If you’re worried about your privacy, don’t. You can submit your comments anonymously. Or you can give them your name and e-mail address. Your choice. If you’re worried about not making an impact, don’t. We need to submit as many comments as possible. More comments get more notice, making more of an impact. And after April 7, we may not get the chance to comment on this for another ten years. That’s the way it works at the federal level, folks. Your voice on this topic is appreciated and valued and necessary. One other thing: After you submit your comments, don’t forget to tell everyone you know that the FDA is accepting public comments on guidance for over-the-counter blood glucose meters, and meters designed for healthcare providers in an office or hospital setting. It’s not often you can do something tangible that you know will have a positive effect on People With Diabetes for years to come. But you know what? This is your chance to do just that. It’s easy. And we need you. 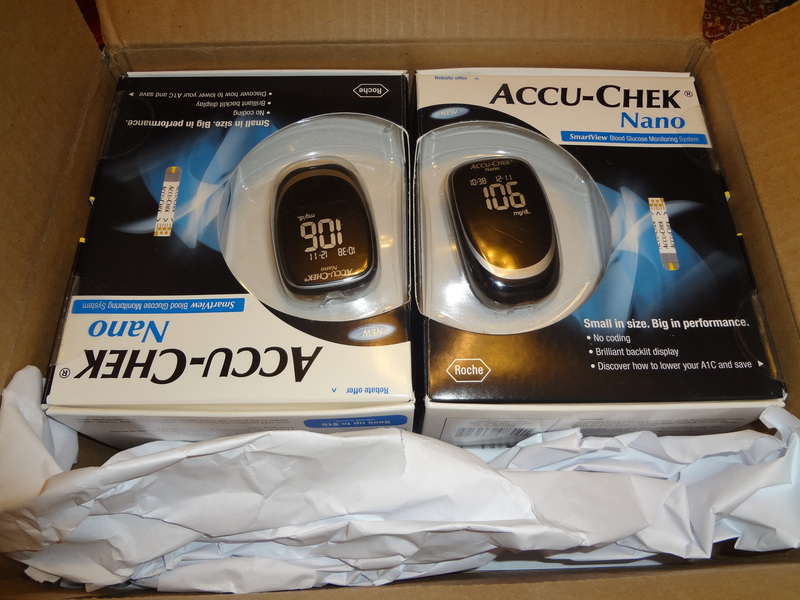 So, for the record, I now own four Accu-Chek Nano® meters: One for the downstairs (it has its own place in the kitchen), one next to my bed upstairs, one for my truck, and one for my desk at work. Granted, with the cold temperatures we’ve been experiencing here in the Land of Pleasant Living, I’ll have to perform sort of a mouth-to-meter resuscitation in the truck to get it to work right now. But the weather will soon turn again, and before we know it, we’ll be back into the balmy upper 30s (single digits Celsius). Given the cost, it was ridiculous for me to not get an extra meter or two. As we all know, the meters are cheap. The test strips, the things most of us use the most, are probably our single largest expense next to the cost of an insulin pump or CGM. Why the Nano® again? I know I could go out and get a OneTouch® Verio™ IQ, or an iBGStar®(though I don’t have an iPhone), but the fact is: I’m comfortable with the Nano®. The readings, to me, seem pretty accurate. And most of all, they’re consistent. If I see a 191 on my meter and I don’t believe it, I’ll put another strip in from a different lot right away and check again. Always, the next reading is within five points of the previous one. I guess that’s all I can ask for right now, although a light on that thing would be a very nice plus. The other consideration, of course, is the fact that my strips are still covered by my prescription provider (ExpressScripts). Unfortunately, my 90 day cost for strips, which was $80.00 a year ago, is now $180.00. For the same thing. That’s $400.00 extra per year, if you’re counting, and it’s only about a $60.00 per 90 day discount over the lowest retail price most recently found on Amazon. You’re welcome, ExpressScripts executives. Enjoy your tropical vacation and your sportscar and whatever else your big friggin’ bonus brings you. At least I’m not paying full price. Yet. And I mean that in the most professional way possible. Now I only have one more problem: I don’t drive to work most days. I take the local subway, which means unless I carry one around, I won’t have a meter in between the office and arriving back at the station near my home. As someone who had a terrible low on the train home one day a few years back, this is not acceptable. So… do I buy a fifth meter? Do I carry one of the ones I have already? I obviously don’t carry a purse, I don’t carry a “murse” (hate that word), or a backback, or a briefcase. I like to keep moving, so I don’t like carrying anything extra. I don’t know. This sounds like the whining of an already spoiled person. I’ll figure something out, but I will have a meter on the train with me. Where was I? Oh yes… You comment, I listen. Sometimes it might not seem like it. But I try to put myself in the shoes of everyone who makes a comment here, positive or negative. The one above was a good suggestion that got me to make a good decision. Keep ’em coming. – Why, when you have to do an emergency infusion set change, it’s when you’re ready to go to bed? This happened to me the other night, and it’s happened more than once… I sat on the bed and reached around for the TV remote so I could turn the set off. As I reached around, my thumb got stuck in just the right (or the wrong) place. In a flash, my set was ripped off and I needed a new one. I was already half asleep. – While we’re at it, why do I always need a set change either first thing in the morning or last thing at night? Can’t these things be done in the middle of the afternoon on a weekend? All the time? Guess not. – Why does a low make me stand in front of the refrigerator looking for the one item I love best? Should it be the orange juice or the cranberry? A granola bar or chocolate? Not “you’re low, just get the fast-acting carbs in”. More like, “what is the one perfect thing that I could have without feeling any guilt whatsoever?”. – For those of us without a waterproof insulin pump, no worries… it’s easy to remember to disconnect before getting into the shower. Unless we really like having the pump and tubing dangling at our sides. But what can I do to remember to reconnect after the shower? ‘Cause I forget that a lot. – Finally: How many more hours could I add to the end of my life if I didn’t have to run back into the house and get the meter I forgot when I walked out the door? I know, I should just keep an extra meter in my truck all the time. Frankly, I’m just too cheap to buy another. So I find myself wondering why I don’t sometimes, as well as wondering why I can’t get a set change in at a convenient moment (like there is one), or why I rip out a site when I really want to sleep, and why I can’t remember to reconnect my pump right away after a shower or a swim. I’ll bet you ask one of these questions now and then too. Ask any others? Have any solutions? I’d love to hear them.